Approximate power levels: 550hp+ on 408ci, 530hp+ on 393ci, 460hp+ on 351ci. 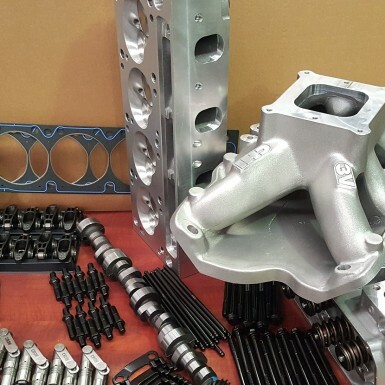 Cylinder heads: CHI 3V 208 C3 assembly with 60cc or 67cc chambers. Camshaft: Hydraulic roller 241 / 245 @ .050″ .633″ & .633″ valve lift, ground on 109 lobe centres. Pushrods: .110″ wall thickness 3/8″ diameter Crow Cams chromoly racing pushrods, two lengths inlet 8.00″ exhaust 7.90″. 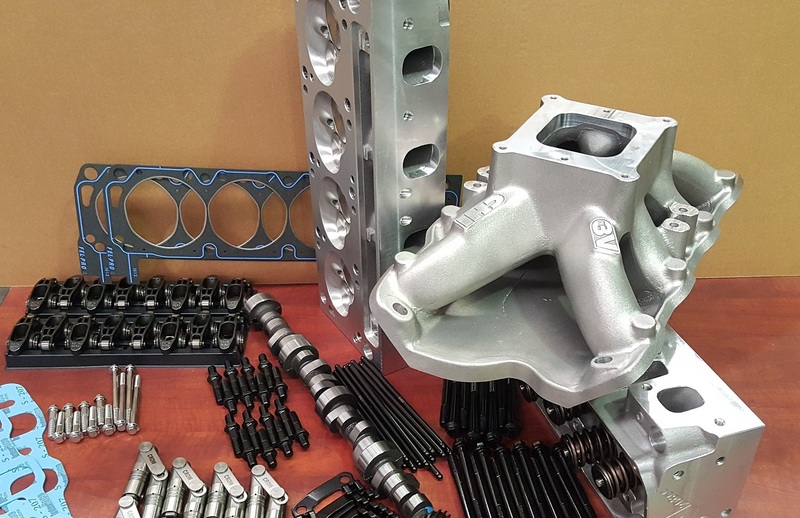 Manifold Gaskets: CHI 3V225 premium fibre intake set.